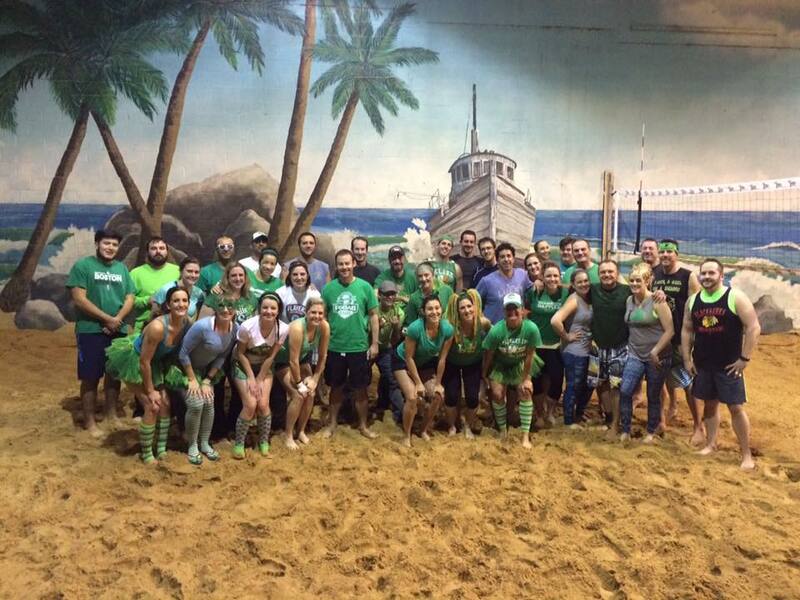 We offer so many different types of events and parties, it’ll make your head spin. 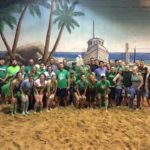 Interested in using our awesome facility for your next event or party? Contact us today! We have also prepared Weekly Entertainment that your whole family and friends will surely enjoy! 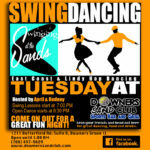 It is ALL about Dancing here at #DSC. Head out here to get those dance moves into actions. 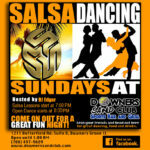 Salsa Sunday are here — Lessons & Dancing. Get ready to move your hips here every Sunday night. 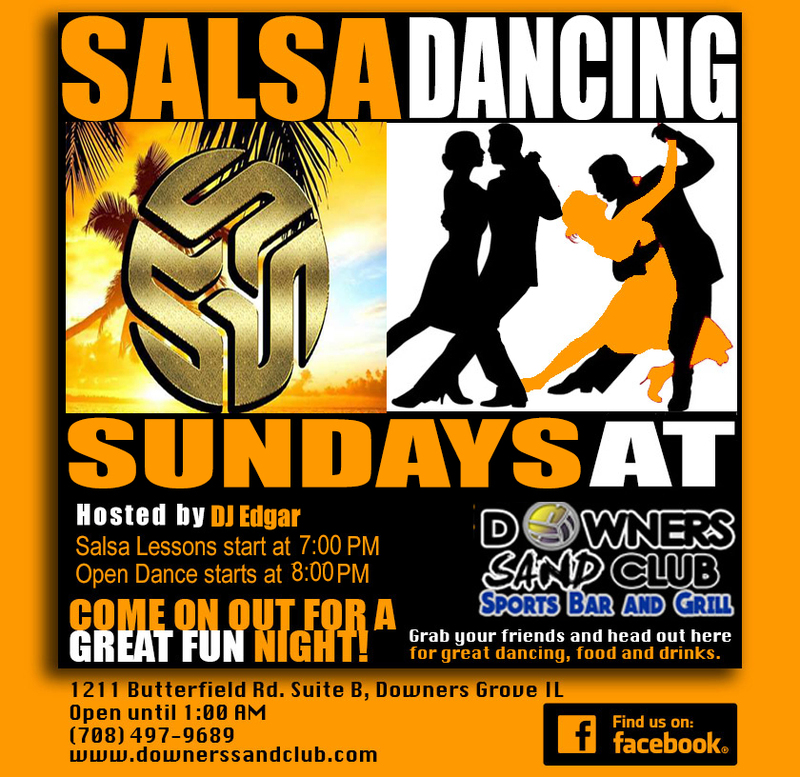 Lessons start 7:00pm and Open Dance starts 8:00pm hosted by Edgar and his crew. Soft opening begins on Sept. 2nd. Then grand opening Sept. 30th and every sunday after. So grab some friends and head down for a great night. 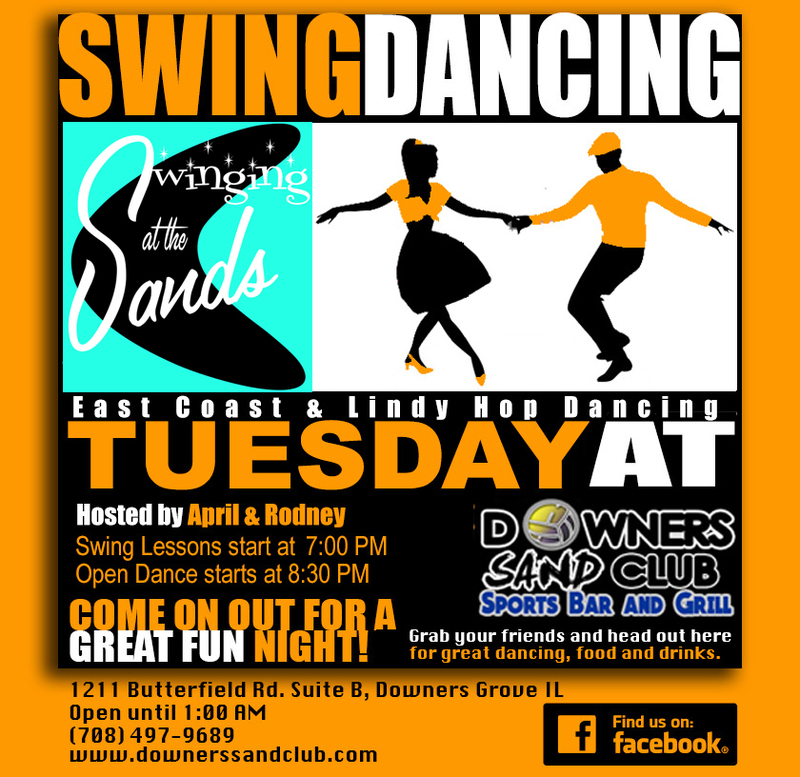 Come and let us swing dance with Rodney and April! 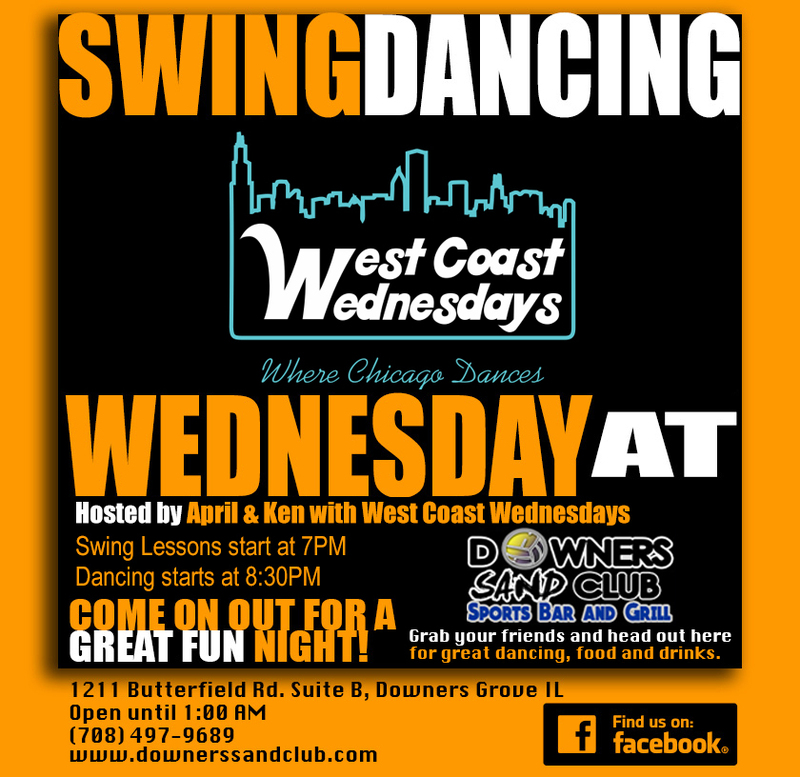 Lessons start at 7PM and Open Dancing starts at 8:30pm! Wednesdays. 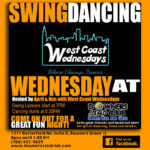 Lessons begin at 7pm and Open Dance starts at 830pm. 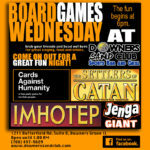 Board Games are here every Wednesday night starting 6pm up front by the dart boards. 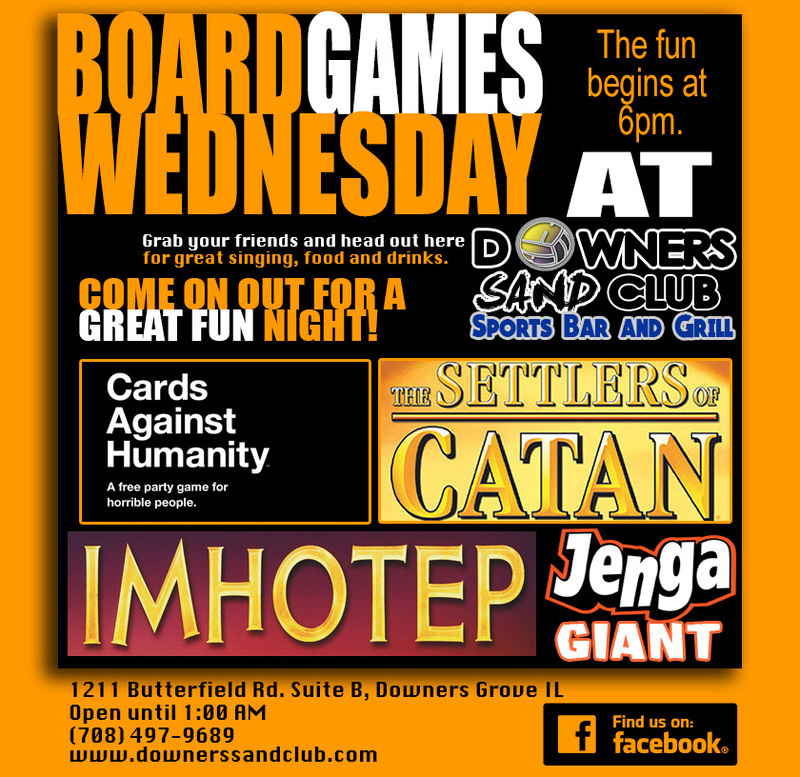 Plenty to do so grab some friends, games and come eat, drink and the play the night away! Are you looking for a place where you can just release all the stressed you had for the week? Where you can just simply sing it all out loud? Well this place is for you! 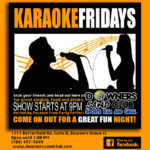 Grab your friends and head out here for great singing, food and drinks. Hosted by Susanne from Party Perfect Entertainment. The show starts at 9PM. 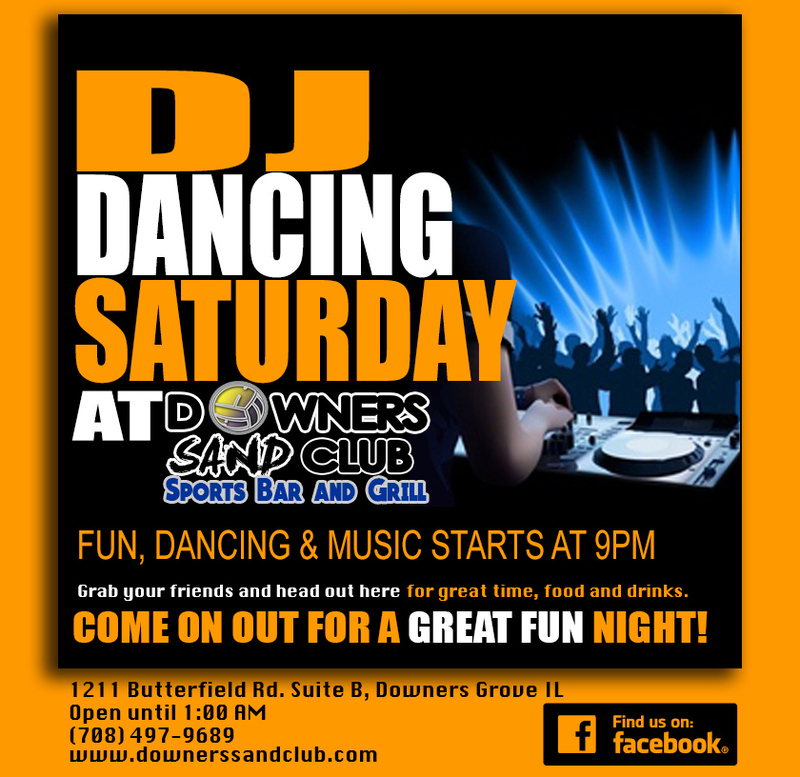 Grab your friends and head out here and dance the night out with some great DJ’s. Time to get those bodies moving in motion! The fun begin Saturday nights at 9pm. Yep, that’s right. 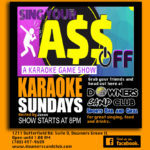 We have two nights of Karaoke shows (Friday and Sunday)! Sing your heart out and start your week ahead with fun-filled night! 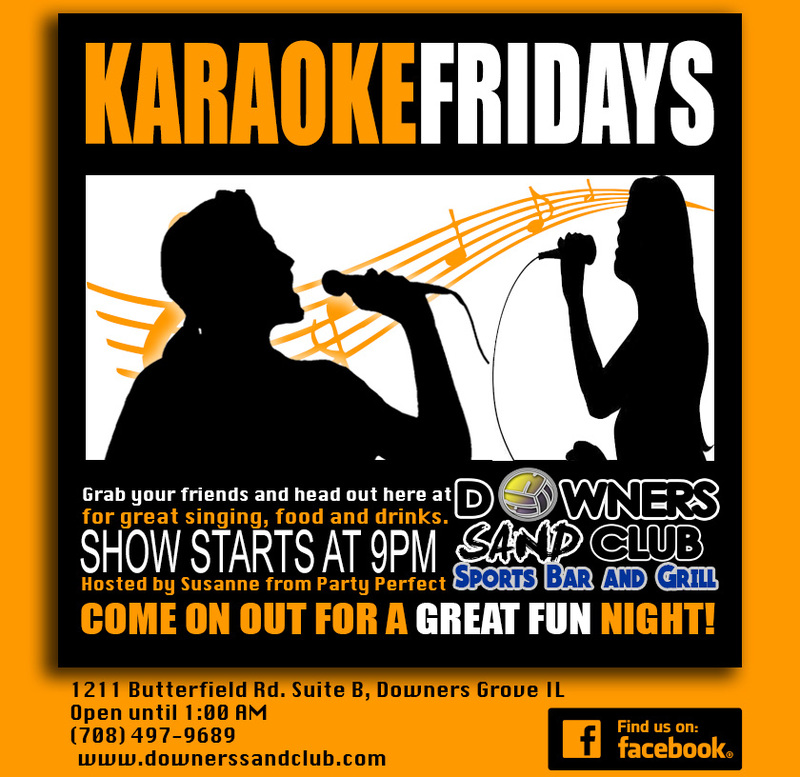 Show starts at 8PM, grab your friends and family here for more great singing, food and drinks! 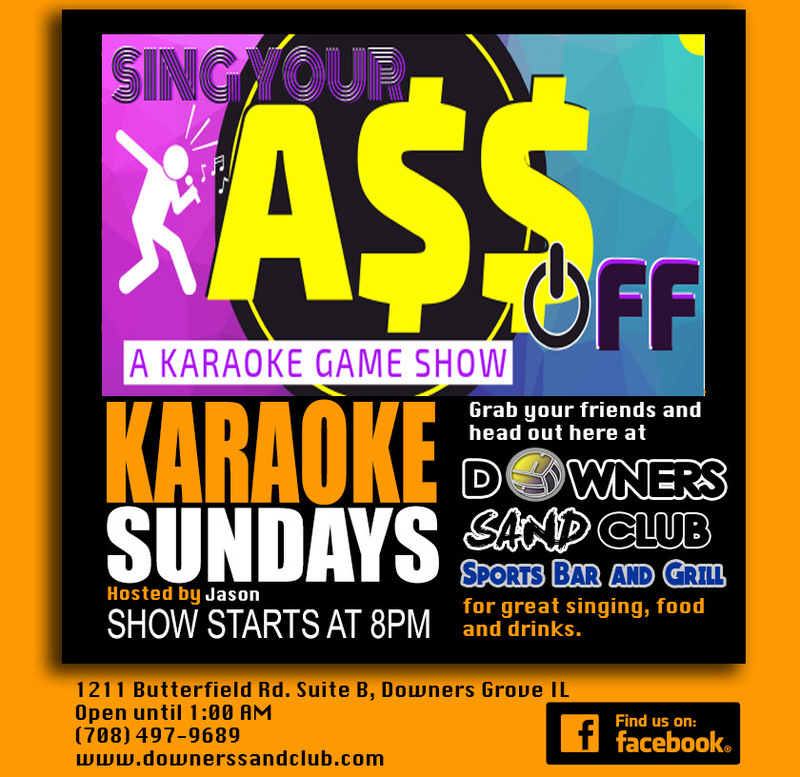 Hosted by Jason with Sing your @$$ off. If you would like to host a Bags or Water Pong Tournament here, please contact us via email or phone. 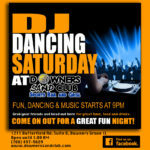 downerssandclub@gmail.com or 708-497-9689.